Baltimore, MD, Dec 28, 2015 -- M-Edge International, a leading tech accessory brand, introduces its line of TrueWireless earbuds, the company's latest innovation in wireless headphones. Lightweight, durable, and highly functional, TrueWireless earbuds mean no longer having to choose between being active and staying connected. 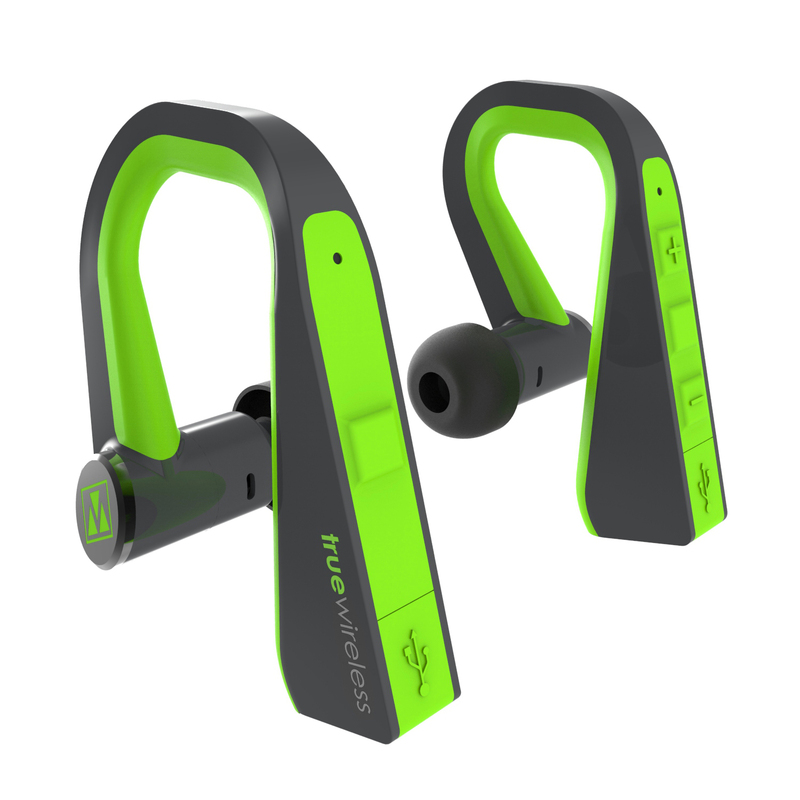 TrueWireless earbuds are Bluetooth-enabled and feature Control+ on-ear and voice-activated controls for both music and calls. Ergonomically designed to provide a secure fit, TrueWireless earbuds deliver consistent, high-quality sound throughout even the most strenuous activity. TrueWireless earbuds are also sweat and waterproof, so that neither the weather nor your high-energy workouts will inhibit your listening pleasure over time. 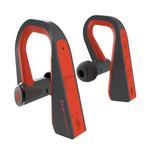 And with a 164 feet/50 meter operating range, you'll enjoy wireless freedom as well. With a rapid-charging long-life power cell, the TrueWireless earbud can provide 10 hours of music and calls between charges and comes with a "Y" USB charging cable for charging each side. TrueWireless earbuds will be available May 1st at many major retailers for just $149.99. 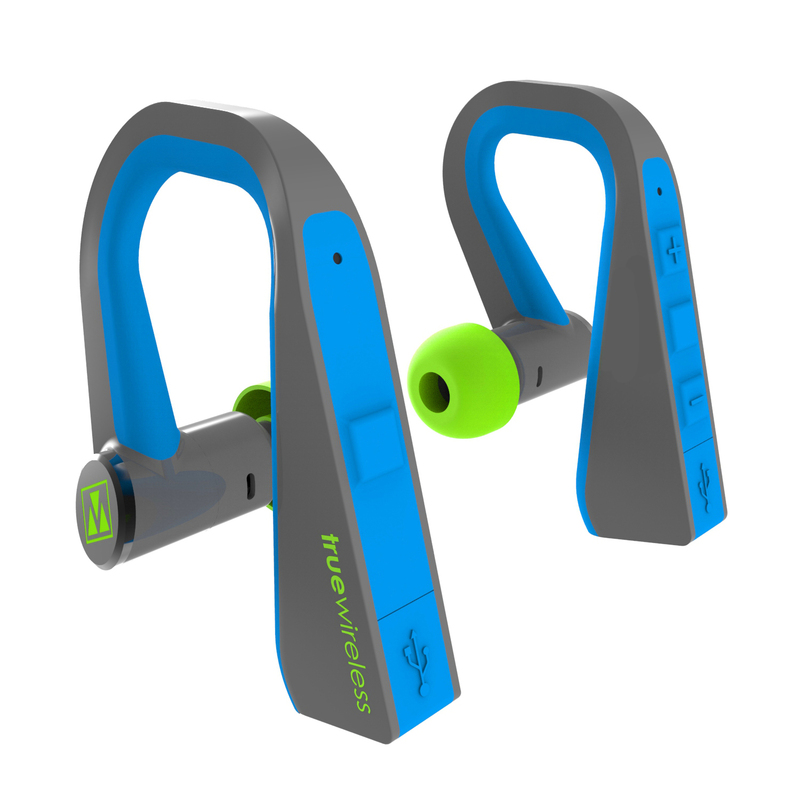 Your TrueWireless earbuds come in four color combinations -- lime/gray, yellow/gray, red/gray, and blue/gray -- and include a carrying case and 4 sets of tips.